I was surprised how simple the questions described in this research were. Which suggests that, as a college graduate, if I didn’t know those simple answers I’d be considerably worse off. Or, actually, given that I’m qualified as a financial adviser as well, I’d probably have gone bankrupt by now if I didn’t know any finance! The research does suggest that people can benefit from learning some basic information (very, very basic information). But it appears that the assumption is made that if you continue to throw financial information at people, they’ll automatically make better and better financial decisions. Not true. the people who claim to know the most facts about finance are economists and bankers – do you think their knowledge indicates that they make top notch financial decisions? If you do, where were you when economists said that LTCM was a great idea and bankers poured billions into it? Where were you when Fred Goodwin was Knighted and made European Banker of the Year and economists and bankers thought these were well deserved? Yes, it’s useful for people to have some basic knowledge about finance, but more isn’t necessarily better – it tends to lead to overconfidence (such as bankers and economists – and men generally) tend to have about that knowledge. It’s better to know than not to know, but how much is enough? Should you know enough, for example, to come up with your own theory to compete with the half-dozen or so theories about why LTCM failed? Is that going to save you from financial mistakes – for example, spending money on “keeping up with the banking Jones’s” when they purchase a new car, leaving you with massive debts that you can’t shake off for something that you don’t actually need? You’re better off, if you want to learn something, to learn about yourself, how you typically think, what financial mistakes you repeatedly make, how you can motivate yourself to behave differently and set effective financial goals. 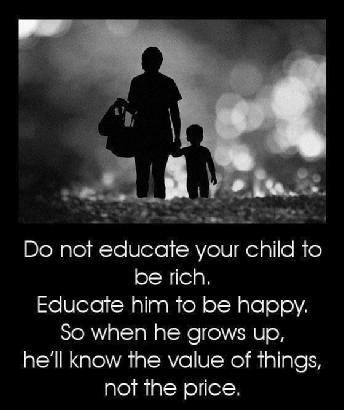 And rather than finance itself, the key knowledge to have is about what, ultimately, you value to make you happy. You can learn about finance in the hope that your money will somehow know what you want and if you serve it faithfully will provide it for you. 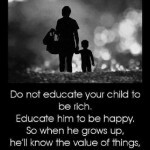 Or you can learn what you want, and use the money as a servant to get it for you. Who do you want to be the focus, and the boss – you, or your money?